Counter-terror police arrested two 16-year-old college students in Mossley, Greater Manchester, on Monday. Local police say further searches are being conducted in the area. The teenage boy and girl were arrested on suspicion of being involved in, preparing or instigating an act of terrorism. They are currently being detained in police custody, where they are being questioned. Greater Manchester Police say internet communications between the two students is of interest to counter-terrorism officers. The two teenagers are believed to know each other. The property, where the teenage girl lives, is reportedly boarded up. She is believed to inhabit the house with a couple. The teenage boy, who is thought to be from Mossley’s Hanover Street, lives with a middle-aged woman, according to neighbors. 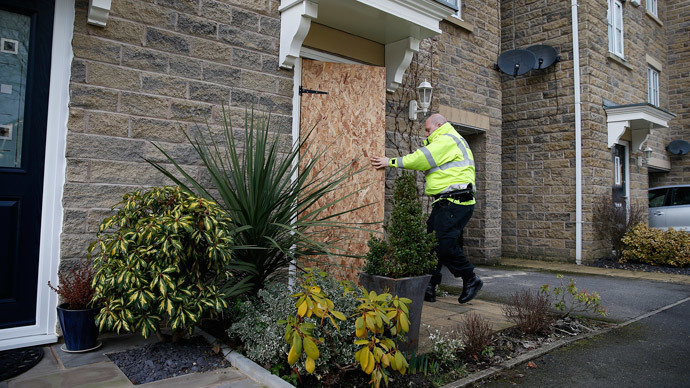 In a formal statement, Chief Superintendent Caroline Ball of Manchester Police said news of an arrest “made under terrorism legislation” in Mossley would likely create anxiety. The Chief Superintendent stressed the investigation, which led to the terror raids, was not linked to a global terror plot. She added Manchester police had not uncovered any evidence to suggest citizens based in Mossley face a risk to their safety. Ball estimated further searches linked to the counter-terror probe would occur in coming days. She stressed people should feel reassured rather than threatened by these activities.